The backup thrusters on the Voyager 1 spacecraft fired up after staggering 37 years. It took 19h and 35 min through space for the signal to reach an antenna in Goldstone, California, US, which is a part of NASA’s Deep Space Network. Voyager 1 was launched by NASA on September 5, 1977, 16 days after its twin, Voyager 2. Both these spacecraft are a part of the Voyager program to study the outer Solar System. On August 25, 2012, Voyager 1 became the first spacecraft to cross the heliosphere and thereby making it the farthest a man-made object has ever traveled. After staying in dormant for 13 billion miles, on November 28, the spacecraft’s four backup Trajectory Course Manoeuvring thrusters were brought back to life. The firing tested the thruster’s ability to orient the spacecraft using ten-millisecond pulses. In 2014, the engineers noticed that the main thrusters are degrading and that the intensity of the impulses are drastically reducing, since it is impossible for repair to be conducted, the backup thrusters had to be fired up once again, since November 8, 1980 when they were used during the flyby past Saturn’s and Jupiter’s moons, conducting minor orientation changes. NASA is planning to switch to the TCM thrusters of the Voyager 1 in January next year. 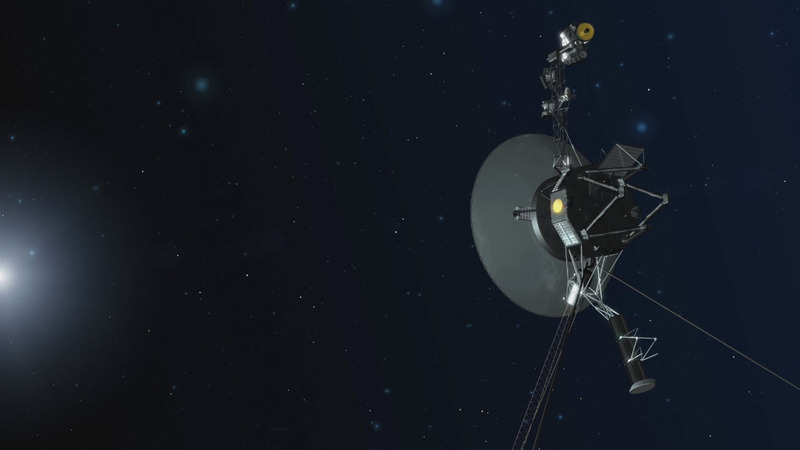 By switching out the thrusters, Voyager 1 may be able to keep sending us messages for a little while longer, thus further extending the mission lifetime up to 2025.